Review a resume sample for a person seeking employment as an electrician. The resume includes employment history, education, and licenses. Also review the skills employers look for when hiring electricians. This is an example of a resume for an electrician position. Download the electrician resume template (compatible with Google Docs and Word Online) or see below for more examples. Experienced and knowledgeable electrician with more than 10 years of experience in the field seeks a position with a busy contractor or top electrical or construction firm in need of a hard worker with solid technical skills. Experience overseeing, training, and scheduling personnel. Proficient with direct installation of wiring at construction and other sites. Good interpersonal skills; able to interface with clients, project managers, and team members. Fully certified in electrical engineering by a reputable college. Brought on board to oversee worksites and scheduling of personnel. Perform direct installation of wiring and electrical appliances at new construction sites. Communicate closely with clients, project managers, and team members to identify and resolve issues and convey statuses. Work with multiple construction teams to develop original blueprints of electrical wiring for new construction sites. Assist in interviewing and hiring new employees. Assisted electricians with installation and repairs of heaters, boilers, and wiring at both residential and commercial construction sites. Stepped up, as necessary, to perform administrative duties including phone reception, client relations, and project reporting. Journeyman Electrician State License; Associate Member, Institute of Electrical and Electronic Engineers; Associate Member, International Affiliation of Electrical Inspectors. 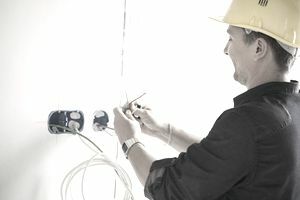 Here are the types of skills employers seek in the candidates they hire for electrician jobs. These skills will vary based on the position for which you're applying; if an employer specifically lists any of these skills on their job announcement, you should try to mention them in your resume and cover letter. Technical Skills: Technical skills are perhaps the most important competencies employers look for in electricians, which is why it’s a good idea to broaden your technical skillset as widely as possible during your training and apprenticeships. Here are a few of the technical skills most commonly mentioned in job ads for electricians. Logical / “Thinking” Skills: Installing and maintaining state-of-the-art electrical systems can require extensive planning and diagnostics, so solid analytical and problem-solving skills are crucial. Physical Strengths: Like most trades, electricians must have the strength, physical stamina, balance, and dexterity required to perform physical tasks like working in cramped spaces, carrying heavy materials, and climbing on ladders. Communications and Interpersonal Skills: As an electrician, sometimes you will work alone. Other times, though, you will be part of a team and will need to communicate effectively with others to ensure the job gets done on time and at or below budget. Administrative Skills: Recordkeeping, purchasing, and project scheduling and management may all be required of electricians, depending upon their employer and their level of seniority and responsibility. After drafting your electrician’s resume, don’t forget to write a cover letter, too. This, without simply repeating your resume, should highlight your training and qualifications for the job, mention any related work experience, and list any required licensure or professional memberships.